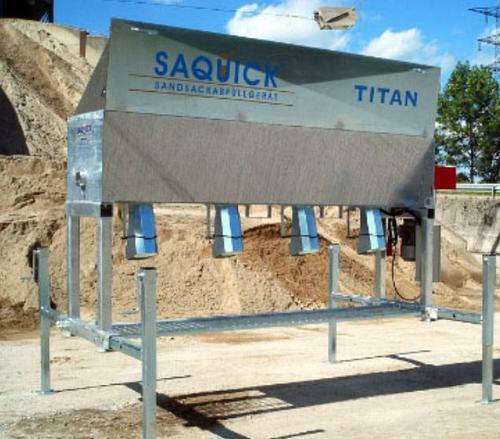 SAQUICK GMBH, Umplerea sticlelor si a recipientelor - utilaje si echipamente, Flood protection equipment, Bag filling machinery, pe EUROPAGES. 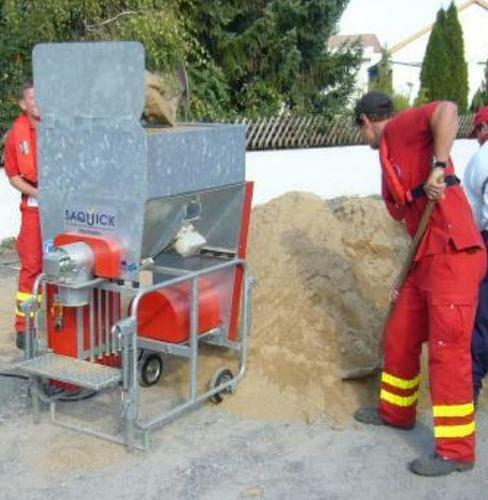 Sandbag filling machinery: We have been professionally providing bulk material for disaster control, flood protection, dike protection, civil engineering and to the armed forces since 1993, filling bags with sand, gravel or grit. To complete our range, we also offer the necessary sandbags, Tandem bags, BigBags and pouches. We supply filled and empty sandbags in small and large volumes. 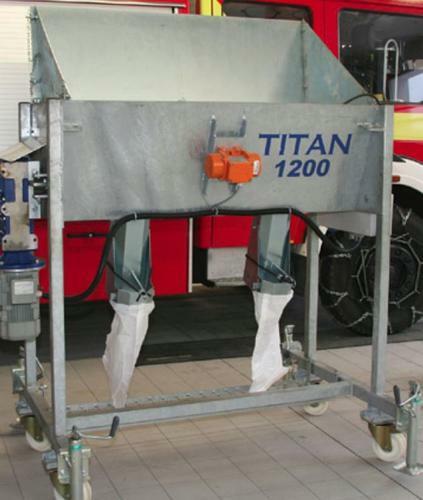 Dosing equipment: With our dosing equipment, volume dosing units and bagging scales, we efficiently fill bags with foodstuffs such as grains for the agricultural industry, for example. Our machinery and equipment are suitable for all kinds of bulk goods. Our equipment is also used in civil engineering. Service partners: We offer stationary flood protection as a service partner for flood-proof windows, flood-proof doors and flood protection systems. Our range of products includes securing basement windows, light shafts, doors, gates and garages.